The recently founded League of European Accelerator-based Photon Sources (LEAPS) has set up its strategy for the next ten to fifteen years and has now presented it to Jean-David Malo, current director of the Directorate General for Research and Innovation of the European Commission. Europe hosts 13 synchrotron radiation facilities and six free-electron laser facilities which all of them are founding members of LEAPS. They represent a multi-billion Euro investment with an annual operation budget of 700 million Euros serving more than 24 000 direct users every year. “By bringing together the community of national and pan European synchrotrons and free-electron laser facilities, the LEAPS initiative should be encouraged as it aims at structuring the European landscape of Research Infrastructures, coordinating strategic investments and facilitating transnational access,” emphasised Malo. The LEAPS Strategy 2030 shows how the members, by joining forces, will be able to deliver even better capacity and capabilities at their research infrastructures. This will be done through smart specialisation, closer co-operation, better engagement with industry and working together with the existing user communities to reach out to scientists, academic and non-academic, that may not yet know of all the tools and skills available at photon sources for solving questions from all fields of science. The strategy explains how LEAPS will address key issues of the European Long-Term Sustainability Action Plan and presents roadmap processes to optimise national and European resources and describes the how the path towards the next European Research and Innovation Framework Programme – beyond 2020 – looks with a few carefully selected pilot activities under the current programme. 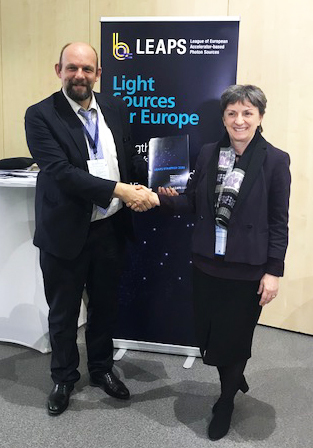 “LEAPS fully embraces the European Commission’s &apos;Open Innovation, Open Science, Open to the World&apos; concept and with the planned activities building on our strategy we hope to make a substantial contribution in making this a reality,” concludes Biscari. 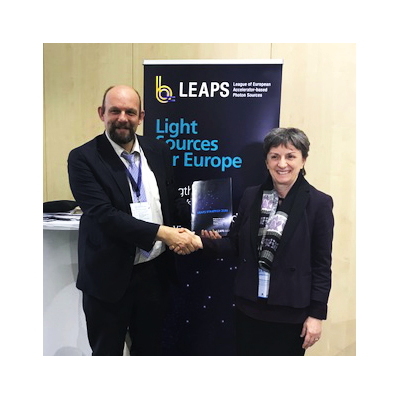 The LEAPS members are: : ALBA, DESY, Diamond Light Source, Elettra, ESRF, European XFEL, Felix, HZB, HZDR, INFN, ISA, MAX IV, PSI, PTB, Solaris, Soleil.